Richard began his career as a public adjuster in 1980. After several years as a public adjuster Richard became a builder/estimator for American Bankers Insurance Company and Home Owners Warrantee Insurance Company. His duties consisted of estimating and preforming repairs on damaged properties insured by these companies. After a few years serving as a builder and estimator, Richard joined a large NY independent adjusting firm representing many insurance companies as a senior adjuster. In 1992, Richard returned as a public adjuster where he began. He knew that with his experience and knowledge of the inner workings of the insurance companies, he could better serve his clients as a public adjuster. 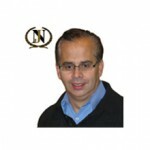 Over the years he has represented hundreds of insured from all walks of life in the handling of their insurance claims. Once even representing an ALLSTATE insurance agent against ALLSTATE insurance company, when the agent’s house sustained a fire. Richard has served as witness in superior court as an expert in property damage in a well-publicized Bergen county case of a house that contained several hundred dead and sick animals. Over the years Richard, along with his colleagues and staff, has worked to grow his firm into a well established and trusted firm. We like to consider our clients like family. Over the years most of my clients have become personal friends. When we take on your case, I do not feel it’s you against the insurance company, I feel it is US against the insurance company. I will handle your case as if I were handling my own. Along with my colleagues we bring years of expert knowledge and experience to the table on your behalf.